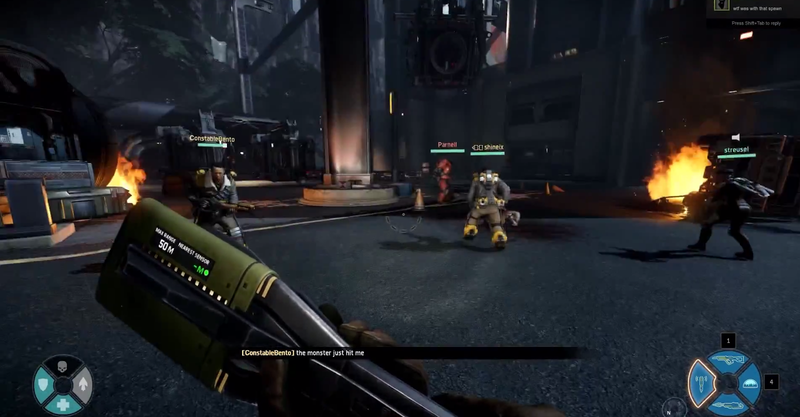 In Evolve, each of the four player classes is supposed to play a specific role in hunting down big, brutal monsters, with the various hunter types playing specific roles to help the team win. So when a glitch lets two support characters spawn and create a five-man team instead of the usual four-man squad, it's a really unfair advantage. Say goodnight, Goliath. Things went off-script when a bunch of Evolve players jumped into a hunt and found themselves with a quintet of hunters. Two support characters—the players with the unsernames constablebento and shineix—means twice the attack buffs so that poor monster's armor falls off with the quickness. Poor little big guy. He barely had a chance. I, for one, hope this happens to me in an upcoming session.